Iron Bridge has outgrown another office since its inception in 2011. We spent the previous 3 years at a location 1 mile down the road from our new office space. While our old office served us well and we solved many complex healthcare interoperability challenges there, it was time to move! 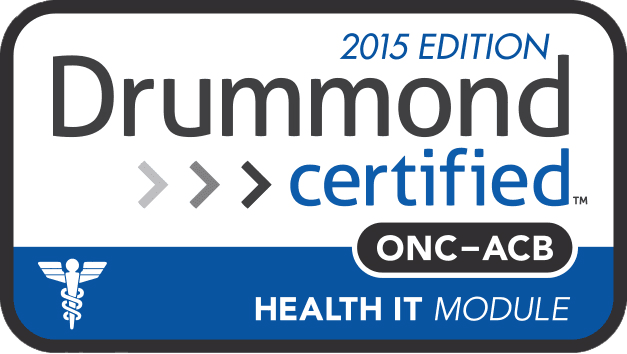 Iron Bridge, a leader in public health and specialized registries, has achieved Platinum status, the highest level within Florida SHOTS Certified Software Providers. The Platinum status highlights the ability of Iron Bridge Pub Hub 2.0 platform to provide real-time, bi-directional web services access to Florida SHOTS on behalf of health care providers in the state of Florida. Iron Bridge Corp. (IBI), a leader in the Public Health registry submission space, announced today that Pub Hub 2.0 has been certified for Meaningful Use 2015 Edition Stage 3. Modular certification has been achieved for the following 2015 edition modules: 170.315.d (1 - 3), and d.7; 170.315.f.1 – Transmission to Immunization Registries; 170.315.f.2 – Transmission to Public Health Agencies – Syndromic Surveillance; 170.315.f.3 – Transmission to Public Health Agencies – Reportable Laboratory Tests and Values/Results. Iron Bridge (IBI) launches Pub Hub Provider Portal for bidirectional public health and Meaningful Use Stage 3 needs. Pub Hub is the industry’s first public health clearinghouse. Pub Hub Provider Portal adds bidirectional capabilities that enable healthcare providers, hospitals, and Electronic Health Record (EHR) vendors to easily query public health registries, as well as submit public health data to state registries. Pharmacies in California are now mandated to submit vaccinations to the California Immunization Registry (CAIR). 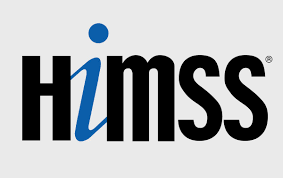 Attending this years HIMSS conference in Las Vegas? So are we! This year's conference is sure to shake up the healthcare information technology landscape! With Meaningful Use Stage 3 potentially doing its best David Copperfield impression and MACRA taking the place as the new kid on the strip, there will certainly be a lot of excitement at this year's conference. Don't get left in the audience! At Iron Bridge Integration, we have been closely following the proposed rulemaking for Meaningful Use stage 3 public health and clinical data registry reporting. While stage 3 rules are not yet finalized, Iron Bridge remains committed to helping its current and future customers achieve active engagement for public health and clinical data registry reporting, including bidirectional immunizations. Symphony Performance Health (SPH), a leader in action analytics for healthcare providers and networks, announced today that they have selected Iron Bridge Integration, Inc. (IBI) and its Nuvola Hub to provide efficient healthcare data exchange for SPHs Orchestrat population health software. ADP® AdvancedMD®, a leader in all-in-one, cloud electronic health records (EHR), practice management, medical scheduling, medical billing services as well as a pioneer of big data reporting and business intelligence for smaller medical practices, today announced a new partnership with Iron Bridge Integration (IBI). IBI is a cloud-based healthcare interoperability company that facilitates physician practice reporting efforts for the purposes of Meaningful Use attestation related to immunization records. Iron Bridge Integration has decided to allow interested EHR vendors and hospitals to utilize PubHub at no cost with one provider, practice, or hospital. We are confident in PubHub’s ease of use and simplicity and are currently in the process of signing up providers already taking advantage of this opportunity. Net Health, the leader in software solutions for specialized outpatient care, is partnering with Iron Bridge Integration to support clients’ efforts in achieving Meaningful Use requirements related to electronically transmitting immunization records to state agencies. Iron Bridge Integration has officially been registered as an immunization submissions hub with Florida Shots, the state of Florida’s Immunization Registry, as well as CAIR, California’s Immunization Registry. CareCloud, the leading provider of cloud-based practice management, electronic health records (EHR), and medical billing software and services, today announced it has partnered with Iron Bridge Integration (IBI) to leverage Pub Hub, IBI’s public health clearing house. This integration further enables clients using CareCloud’s EHR, CareCloud Charts, to more easily report clinical data to state registries. The expansion of CareCloud’s platform allows its clients to more easily submit public health information such as immunizations, syndromic surveillance, cancer cases and electronic reportable labs. It has been a busy July for Iron Bridge Integration as we have recently partnered with four more Electronic Health Record vendors to assist them with the submission of public health information to state health registries. This month Net Health, CareCloud, Acumen, and Nightingale have all chosen Iron Bridge Integration’s public health clearinghouse, Pub Hub, as their platform for submitting immunizations to state registries. Nightingale has also partnered with Iron Bridge to use Pub Hub for the submission of immunizations as well as syndromic surveillance related data. Our CTO, Brad Meyers and our COO, Brian Brandebura are in attendance at HIMSS 2014 in Orlando this year. If you would like to schedule some time to discuss our newest Public Health clearing house offering, Pub Hub, please email us at contact@ironbridgeintegration.com, to schedule an appointment.